I’m still catching up on all the coverage of last weekend’s Grand Prix of Helsinki, but the best moment by far had to be Yuzuru Hanyu’s quad toe-triple axel combination. I watched it over and over again, marveling at the spring and height on the triple axel. 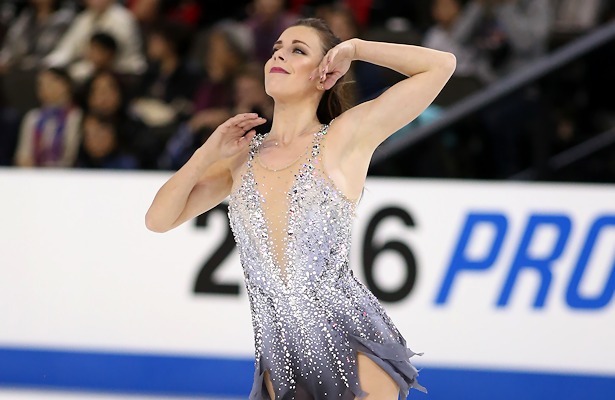 It would have been excellent on a solo triple axel—the fact that it was directly off a quadruple toe loop was nearly unbelievable. It is amazing and inspiring to see a two-time Olympic Gold Medalist continue to push his own boundaries and the sport forward. I love the ease and confidence throughout the program. This was the first time anyone topped 300 points in the IJS, and he cleared it by 22 points, beating silver medalist Boyang Jin by 55.97 points. And then, because sometimes the only person Hanyu needs to outdo his himself, he broke this very record just a few weeks later at that year’s Grand Prix Final. Happy NHK viewing, figure skating fans! Categories: 2018-19 Season, competitions, Flashback Friday, Grand Prix | Tags: Flashback Friday figure skating, NHK Trophy, Yuzuru Hanyu, Yuzuru Hanyu NHK Trophy | Permalink. This weekend, Finland will host its first-ever Grand Prix event. China declined to host their annual Cup of China this year, so the event was moved to Helsinki, which played host to the World Championships in 2017. Back on the 2012 Grand Prix circuit, Finnish champion Kiira Korpi won the Rostelecom Cup. That victory, combined with a bronze at Cup of China, earned her a spot in the Grand Prix Final that year. Categories: 2018-19 Season, Flashback Friday, Grand Prix | Tags: Flashback Friday, Grand Prix Finland, Grand Prix Series, Kiira Korpi | Permalink.